A U R O R A L A H T I - The Inspiration Bay: The Art of "To-Start"
In the first post in this series we highlighted the problem of priorities in our lives. We asked how to make the tasks that are meant to have the highest positive impact on our lives more urgent and not to remain as dreams till we run out of life. In the second post we addressed the causes that drive each of us to not take his dream that seriously and to keep it as a dream and no more. This is the last post in the series and I'll reveal the sercret solution of the problem. If you didn't read the 2 earlier posts, please do. It should help you understand the problem more and so you'd know if this solution is for you. The solution is to start. Yes, to start achieving your dream, to put it into action, to take it off the shelf and to make it reality. When I say to start, it doesn't mean to take your PhD now, but it means to work on your first smaller task on the whole big task of the PhD. If this smaller task is to pick your subject then do this now and let this be your urgent task. 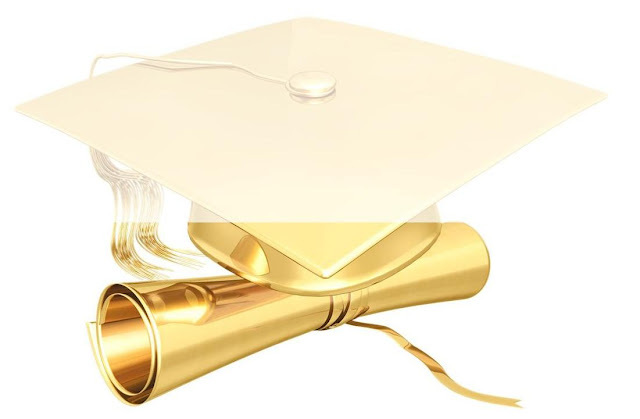 If it's to find the suitable university or program then this is your urgent task. If it's to get a certain prerequisite, then this is your urgent task. Whatever that smaller task is, do it and focus on it for now. The first question we asked was how to make the PhD as urgent as buying the tomatoes your wife asked for. I would say that getting the PhD couldn't be made an urgent task, but the smaller sub-tasks that form the PhD as a whole could be urgent tasks. So getting your PhD could not be an urgent task, but submitting your proposal, documents, studying for an exam, submitting a review, and meeting your project group are all urgent tasks. You may have accused all those who're around you of being unfaithful, insincere, betrayers as you've found out that they're following you up on unimportant tasks and never asked you seriously about your PhD and when you'll be done with it. Let me tell you that as the start will turn this monster task into smaller mice it will also establish new followers in your life in addition to the current followers. All those followers will be advocates for these new mice. Your school colleagues, lecturers, supervisor, program director and family will all be very serious followers on your new highly urgent tasks. By starting, the monster will become a queue of mice that come one after another, and all of them will build the required urgency around themselves. They will be followed by the new agents until they're all finished, that simple. Let's go through the causes we've listed in the last post and let's expose them to the "to-start" solution and you'll see the magic of this simple solution. Starting will put you in the environment, will give you the example, will make the benefit clearer to you since your first visit of a university website. Starting will make the route clearer, will clear its milestones, and this will help you effectively go through it. Starting will help you focus on your current tasks, will help you know what you have to do now and not to be busy with what's to come. A task after another you'll find yourself defending your thesis and then comes the honor. Starting will build your credit of achievement and with each step you make you'll be more capable to continue and accomplish. Starting will turn the dream to truth, hope to achievement and bitterness of regret and defeat to joy and dignity of progress. Simply, after you start you'll be a totally different person, and you'll be on your way to achievement. Whatever comes on the road after your start is nothing but a problem that's easy to solve. Every failure you encounter after starting is a new learning experience which qualifies you more for achieving your goal. In brief, before you start you're a fantasy, after you start you're reality. So dear traveler, get busy with your first smaller sub-task, hold the first ring on the chain and start. Push yourself to start or get pushed. Throw yourself into it or find someone to throw you in it. Hold your breath and jump in. Don't worry, you'll not drown, there's plenty of companions and plenty of boats only for those who've defined their destination. I have started since your first post. I have decided to take my Masters degree "whether MBA or other marketing related one, still searching" in England not because of any thing except my feeling that they are more systematic and organized. These days I'm searching for places in Egypt to prepare for IELTS and GMAT as a basis for most universities worldwide.